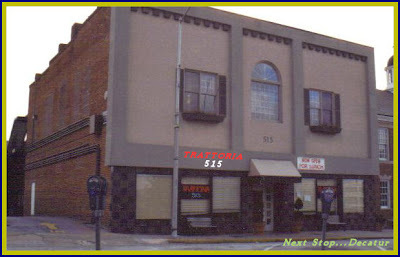 Who remembers TRATTORIA 515 in Decatur ? Remember when we used to gripe about gas prices? Lately, the only numbers we’ve noticed at the pump are the ones rolling up gallon after gallon as they replenish our tank. North of four bucks per? Who cares? *Wednesday mornings is the optimum time to fill ‘er up. Prices tend to rise as the weekend approaches, then settle down by mid-week. *Stations adjust their prices in the morning, often around 10 o’clock. *Some stations jack up their prices more steeply than others. Scout out the ones whose bumps are least painful. *Stations at exit ramps off highways often charge more than the norm because they can lure long-distance travelers. 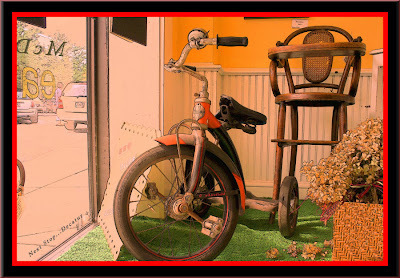 Now, one continuous theme you’ll find in this blog is how to make frugality fun. I like to monitor price per gallon at stations in my ‘hood or along my normal routes. Rather than cast my loyalty with one, I turn into the lowest-priced place. I also track the wildly shifting price of a barrel of oil on the open market. If it’s dipped significantly, I will patiently wait to fill my tank because the retail cost of fuel will trend downward. Should it escalate, I’ll either put in the max pronto or, if I feel like gambling, quench my tank’s thirst only when necessary with a sip here and there until it declines again. Besides saving pocket change, the strategy also provides the satisfaction that you are beating the system. 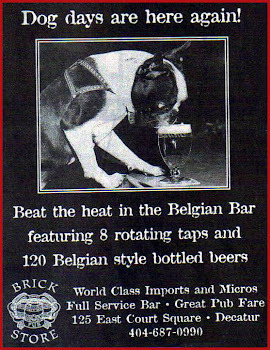 And, leaves you enough left over to buy a Big Gulp. This is why you should get A microchip implant for your pet, because you never know what could happen. Get one A.S.A.P. St. PETERSBURG, Fla. — An Atlanta pooch traveled more than 400 miles for a Florida vacation, but even that might not have been enough for the golden retriever. Pepper the dog was covered in fleas and dirt when a St. Petersburg man found him outside a travel office during a thunderstorm. Jay Getman took the dog to a veterinarian. A microchip implanted in the dog's neck helped him reunite the dog with his grateful owner last week. 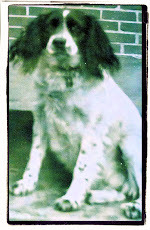 Pepper went missing from a dog sitter's home nine months ago when his family was in Mexico. Can’t quite put together the dinner you’re hoping for? Need to radio for support? 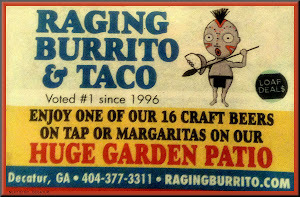 If you?re in Decatur, consider picking up the phone and calling in some delivery. 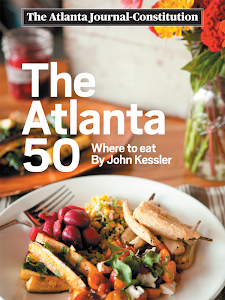 We have a list of several eateries that’ll bring grub to your door. Check or call to see if you fall into each respective delivery radius. Las Brasas Peruvian Style Rotisserie Chicken Pictured above. What’s Cooking? 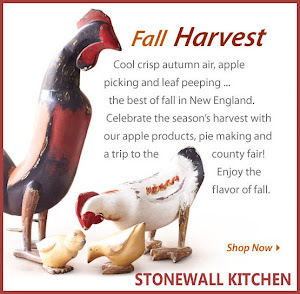 Rotisserie chicken in various forms, from half a bird to salads and wraps. Popular picks include the rotisserie chicken special, which comes with a quarter chicken, a choice of side and a can of soda or bottled water. What’s Cooking? This hippie-dippy sub shop whips up sammies (both hot and cold), salads, kid-size fare, brownies, cookies and Jakeâ€™s ice cream. The staff says customers typically order its Original (an Italian-style sandwich), the Turkey Dave and Reuben sandwiches for delivery. What’s Cooking? 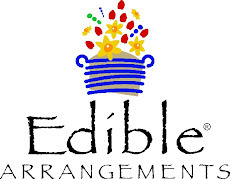 Various bulging burgers, chicken wings, chicken tenders, salads and desserts. Of course, the burgers, which the restaurant describes as “run-down-your-chin good,” make the delivery roster, along with the wings and tenders. Delivery Radius: Approximately 3 1/2 miles. Minimum Delivery: $8 plus $1.50 delivery fee. 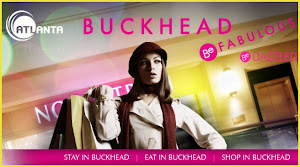 Contact Info: 404-315-1108, www.burgerjoes.com | Menu. Address: 2050 North Decatur Road. Decatur, 30033. What’s Cooking? It melds Japanese fast-food noodle dishes, teriyaki bowls and minimalist sushi with greasy spoon sensibilities like burgers, gyros, salads, soups and more. Don’t miss the chicken teriyaki bowl and chicken wings. What’s Cooking? Greek and Middle Eastern goodness. Think items like kofta kabobs, gyros and falafel in sandwich and entree form. Callers request pita wraps (gyro, falafel, veggie and more) and hearty plates like the combination feast (shish kabob, kofta kabob, gyros slices, rice pilaf, pita, tahini sauce, and salad). Minimum Delivery: $15 plus $1.75 delivery fee. What’s Cooking? 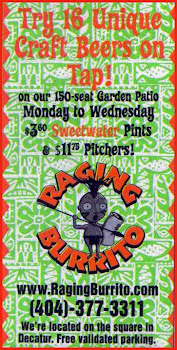 A hodgepodge including Jamaican favorites, Philly cheese sandwiches, wings, burgers, quesadillas, fried fish and more. Top delivery fare runs the gamut from jerk chicken and curry chicken to Phillies and wings. What’s Cooking? Top-notch Thai and Malaysian delicacies including appetizers, soups, salads and entrees. Its phone frequently rings with delivery requests like spicy basil chicken and pad Thai with shrimp. Minimum Delivery: $14 plus $1 delivery fee. What’s Cooking? Chicken wings, meatless wings, rice bowls, wraps and burgers. The wings prove most popular, especially with the college clientele. Minimum Delivery: $10 plus $1 delivery fee. What’s Cooking? Specialty pizzas, subs and Italian pasta entrees. The pizzas get top billing for delivery, but donâ€™t discount the made-to-order dishes like lasagna, eggplant parmigiana, baked ziti and the Bronx Bomber (Italian meats with peppers and onions baked in marinara sauce with a cheese topper). What’s Cooking? Pizza, calzone, Greek salad, chicken wings, Ben & Jerry’s ice cream and baklava. This limited version of the regular Athens menu keeps the classic Mediterranean Special (feta cheese, gyro meat, tomato slices and kalamata black olives) on the menu. Delivery Radius: Approximately 4 miles. 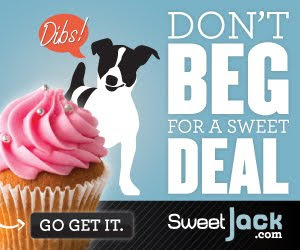 Minimum Delivery: $10 plus $1 fee if ordered by phone; $2 fee if ordered online. 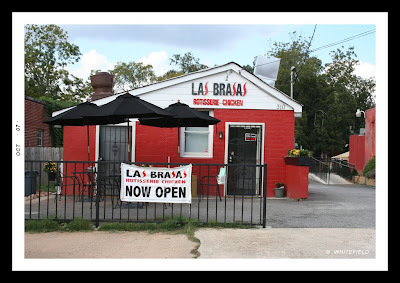 Contact Info: 404-634-8646, www.athenspizzaexpress.com. Online orders available. What’s Cooking? This Chinese mainstay creates oodles of Chinese classics (Mongolian beef, sweet and sour pork, garlic chicken and more) and some Korean delights. The staff says the Empress Chicken and seafood noodle soup are regular delivery favorites. What’s Cooking? Noodle bowls, hibachi dishes and a laundry list of sushi. The Super Crunchy roll (shrimp tempura, masago, avocado, cream cheese, cucumber and spicy aioli sauce) and Orange Crunch roll (salmon tempura, avocado, cucumbers, masago, and spicy mayo) often roll out the door. What’s Cooking? Chinese standards and Asian fusion complete the bill of fare. Among callers, General Tso’s Chicken and Sesame Chicken are hot selections. What’s Cooking? Philly cheesesteaks, hoagies, chicken fingers and desserts. The cheesesteaks, from the regular to the Southwest, remain the star of the show for both dining in and delivery. What’s Cooking? Exhaustive menu with Chinese and Thai traditions. Regular delivery requests include Mongolian beef, sesame chicken and masaman curry. Minimum Delivery: $12 plus $1 delivery fee. 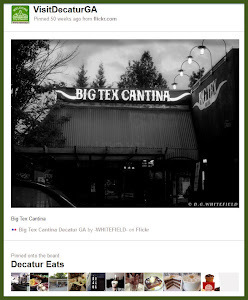 Who do you turn to for food delivery in the Decatur area? NEW YORK — Citigroup agreed Monday to purchase Wachovia’s banking operations for $2.1 billion in a deal arranged by federal regulators, making the Charlotte-based bank the latest casualty of the widening global financial crisis. The deal greatly expands Citigroup’s retail franchise â€” giving it a total of more than 4,300 U.S. branches and $600 billion in deposits â€” and secures its place among the U.S. banking industry’s Big Three, along with Bank of America Corp. and JPMorgan Chase & Co. But it comes at a cost: Citigroup Inc. said it will slash its quarterly dividend in half to 16 cents. It also will dilute existing shareholders by selling $10 billion in common stock to shore up its capital position. In addition to assuming $53 billion worth of debt, Citigroup will absorb up to $42 billion of losses from Wachovia’s $312 billion loan portfolio, with the Federal Deposit Insurance Corp. agreeing to cover any remaining losses. Citigroup also will issue $12 billion in preferred stock and warrants to the FDIC. The remainder of Wachovia will include its asset management, retail brokerage and certain select parts of its wealth management businesses, including the Evergreen and Wachovia Securities franchises. It will continue to be a public company under the Wachovia name. The agreement comes after a fevered weekend courtship in which Citigroup and Wells Fargo & Co. both were reportedly studying the books of Wachovia Corp., which was weighed down by losses linked to its ill-timed 2006 acquisition of mortgage lender Golden West Financial Corp.
Wachovia, like Washington Mutual Inc., which was seized by the federal government last week, was a big originator of option adjustable-rate mortgages, which offered very low introductory payments and let borrowers defer some interest payments until later years. Delinquencies and defaults on these types of mortgages have skyrocketed in recent months, causing big losses for the banks. Wachovia shares, which had slumped as the global credit crisis intensified in recent months, dropped $8.20, or 82 percent, to $1.80 as trading resumed Monday afternoon. They had traded as high as $52.25 over the past year. The FDIC asserted Monday that Wachovia did not fail, and that all depositors are protected and there will be no immediate cost to the Deposit Insurance Fund. Treasury Secretary Henry Paulson said in a statement that the sale of Wachovia’s banking operations to Citigroup would “mitigate potential market disruptions.” Paulson said he agreed with the FDIC and the Fed that a “failure of Wachovia would have posed a systemic risk” to the nation’s financial system. The deal is essentially a vote of confidence in Citigroup’s capital strength, said Sandler O’Neill & Partners analyst Jeff Harte in a note to investors. 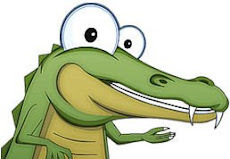 “We are skeptical that the FDIC would have brokered a deal to sell Wachovia’s assets and liabilities into weak hands,” he said. With the acquisition of the bulk of Wachovia, Citigroup has reclaimed its title as the biggest U.S. bank by total assets â€” $2.91 trillion. In terms of how shareholders value each company’s stock, Bank of America Corp. remains the largest U.S. bank, followed by JPMorgan Chase in second and Citigroup in third place. Wachovia’s takeover marks a dramatic shift in the outlook for Citigroup’s future. Just a short time ago, the bank’s investors worried about the possibility of its own collapse given its massive exposure to mortgage-backed securities. New York-based Citigroup has not turned a profit for three straight quarters, and lost a total of $17.4 billion during that period after writing down its assets by about $46 billion. That’s the largest reduction in asset values taken by any U.S. bank in the current credit crisis. Citigroup said it expects to reduce expenses by more than $3 billion annually as it consolidates certain functions. But with few overlaps in their regional operations, Citi projects closing fewer than 5 percent of the banks’ combined branches. During a conference call with investors, Citigroup CEO Vikram Pandit said he is working with Wachovia CEO Bob Steel in setting up a transition team. “We will make sure that we execute on this with a great deal of precision and a great deal of speed,” he said. The failure of the government’s proposed $700 billion rescue plan for financial institutions casts doubt on whether Citigroup will be able to rid itself of some of Wachovia’s bad debt. Some expected the bank to take advantage of the plan and potentially sell toxic mortgages and other assets it gained from Wachovia for a higher price than the bank actually paid for them. But House lawmakers voted down the bailout proposal on Monday afternoon. The transaction, which has been approved by the boards of both companies, is subject to approval by Wachovia’s shareholders and regulators and must close by Dec. 31. The Wachovia acquisition caps a wave of unprecedented upheaval in the financial sector in the past six months that has redefined the banking industry, starting with the government-led forced sale of Bear Stearns Cos. to JPMorgan in March. The failure of IndyMac Bancorp in July reignited investors’ fears about the stability of the financial sector, which led to the eventual takeover of struggling mortgage lenders Fannie Mae and Freddie Mac. Earlier this month, officials seized both Fannie and Freddie, temporarily putting them in a government conservatorship, replacing their chief executives and taking a financial stake in the mortgage finance companies. After U.S. regulators made it clear that they would not bail out struggling investment bank Lehman Brothers Holdings Inc., rival Merrill Lynch & Co. arranged a hasty deal to be bought by Bank of America Corp. for $50 billion in stock. Lehman Brothers was subsequently forced to declare bankruptcy, the largest ever in the United States. Investor concerns quickly turned to American International Group Inc., the nation’s largest insurer. Staving off a failure that could have sent shock waves throughout the global markets, the federal government injected an $85 billion emergency loan into the insurer. Just days later, the government seized Seattle-based Washington Mutual, marking the largest bank failure in U.S. history. WaMu’s deposits and assets were acquired by JPMorgan for just $1.9 billion. These events have now culminated in extraordinary moves by the federal government to try to fix the financial crisis that began more than a year ago. Wachovia’s problems stem largely from its acquisition of Golden West Financial in 2006 for roughly $25 billion at the height of the nation’s housing boom. 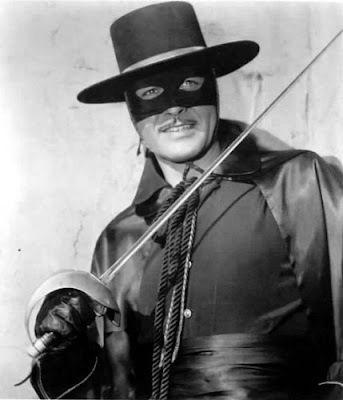 With that purchase, Wachovia inherited a deteriorating $122 billion portfolio of Pick-A-Payment loans, Golden West’s specialty, which let borrowers skip some payments. This summer, Wachovia reported a $9.11 billion loss for the second quarter, announced plans to cut 11,350 jobs â€” mostly in its mortgage business â€” and slashed its dividend. Wachovia also boosted its provision for loan losses to $5.57 billion during the second quarter, up from $179 million in the year-ago period. 1954 Picture Postcard mailed to Decatur, GA.
Click on photo for menu. This is what everyone knows as the Old Post Office Building. 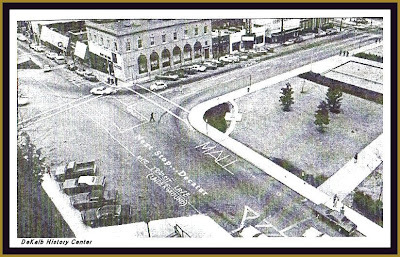 This photo is circa 1972 just as Marta was about to built the Decatur Station. 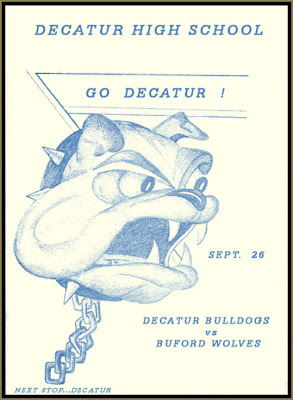 Decatur Bulldogs vs Buford Wolves Friday Night. The Decatur Bulldogs play the Buford Wolves Friday night in Decatur High Stadium. 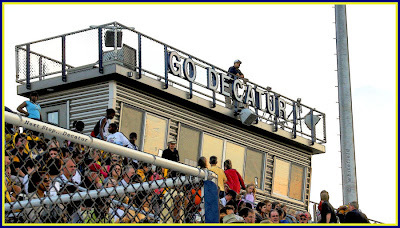 If you did not make last weeks game, go to this one and check out the New Decatur High Stadium. 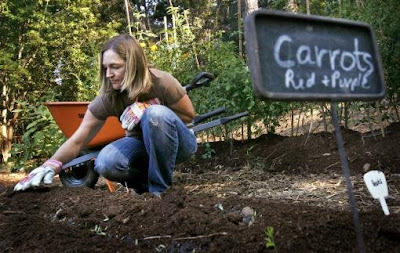 Photo: Kristin Allin spreads soil on a freshly planted red and purple carrots in her family’s garden Tuesday morning in Decatur. The Allin’s garden is one of the gardens featured in the Decatur Garden Tour. If the properties featured in this year’s Decatur Garden Tour are any indication, vegetables may be the new must-have for at-home gardening. Take, for instance, Billy and Kristin Allin’s home on Superior Avenue. At first glance, their backyard seems a well-groomed ornamental shade garden featuring a discreet koi pond, but walk several yards deeper into their lot and find a spacious vegetable garden filled with rows of tomatoes, okra, beets, carrots and more. The owners of Cakes & Ale in downtown Decatur began growing at home with the intention to help supply fresh organic produce to their restaurant. Next door neighbors Lauren and Joey Burby grow vegetables such as lettuce, cabbage and peppers on a much smaller scale. Lauren, who says she typically grows herbs, decided to experiment with vegetables in two raised beds and containers this year after watching her neighbors’ garden flourish. “I thought, if I can make a salad out of my backyard, that’s a great thing,” she says. The best part, she adds, is that her 4-year-old son Conor enjoys lending a hand. Organizer Ruby Bock of Woodlands Garden, one of the public gardens on the circuit, said this year’s Decatur tour teaches that one need not be a serious gardener to grow at home. Most of the gardens are managed by working professionals who till their soil in their spare time. “I kind of like that, because it’s not so intimidating,” she says. Still, those seeking the wow factor should visit the garden of famed designer Ryan Gainey, who will lead walk through his landscape Saturday morning. Landscapers Jeff Hayden and Susan Devine’s home on Oak Lane is also among the tour’s more elaborate gardens. Their landscape features an impressive Japanese Maple collection and rock pond and waterfall the industrious duo built from reclaimed granite stone, as well retainer walls composed of stone from the former DeKalb landmark Scottdale Mills. 20th annual Decatur Garden Tour: 10 a.m.-5 p.m. and 7-9 p.m. Saturday; noon-5 p.m. Sunday. Tickets $25. Special events include plant sales, children’s activities, lectures, raffle and evening tours with wine and music. 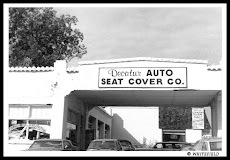 For event schedule and ticket locations, visit www.decaturgardentour.com. Wordsmiths Books named “Best Place for Author Readings/Signings” in both critics and readers polls for 2008. 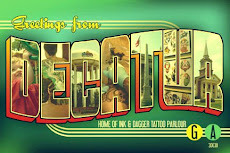 Wordsmiths Books, in Decatur, GA, is thrilled to announce that Georgia-focused news and lifestyle publication Creative Loafing has named them “Best Place for Author Readings/Signings” in both critics and readers polls for 2008. Since opening its doors in June of 2007, Wordsmiths Books has presented a vast number of author events and programs on a variety of topics, subjects, and genres, from New York Times-bestselling thriller author Stuart Woods to hip-hop style icon Fonzworth Bentley, as well as a rare poetry-reading appearance by folk-singer/activist icon Ani Difranco. Wordsmiths also has shown strong support to local authors and personalities, building programs and events around appearances by Karin Gillespie, Julie L Cannon and Patricia Sprinkle, the first public post-Top Chef appearance Richard Blais and a launch party celebrating the first book released by Sandy Springs-based fantasy and science-fiction publisher Mercury Retrograde Press, amongst many others, as well as hosting a recurring poetry showcase curated by Poetry Atlanta. Wordsmiths has also become notable for pairing live music with author readings, and for co-initiating one of the first recurrent “reading series” in the Atlanta literary community with book blog BabyGotBooks. Forthcoming author events at Wordsmiths Books include environmentalist writer Greg Melville, debuting his book Greasy Rider at the store on October 7th at 7:30 P.M., local poet Collin Kelley appearing with Cecilia Woloch on October 11 at 2 P.M., and Flannery O’Connor prize-winners Andrew Porter and Peter Selgin on October 17th at 7:30 P.M. Further ahead, Wordsmiths will be announcing an event co-sponsored with Atlanta-based music and culture magazine PASTE featuring Americana-chronicler Amanda Petrusich, author of “It Still Moves” for November. Wordsmiths Books, in Decatur, GA, is located on the Square in Decatur. 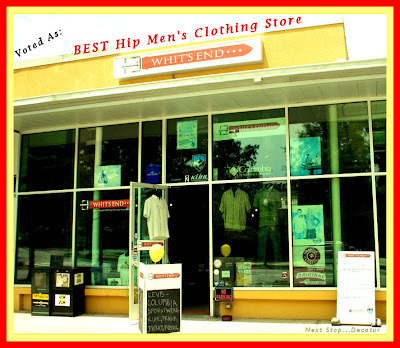 Creative Loafing's Best of Atlanta 2008 is out and The readers picked Decatur's Whit's End... Store as Best Hip Men's Clothing Store. Executive Chefs Michael Condon of Badda Bing, Ray Allen of New Orleans and Brittany Keith of Voilà Market Café along with celebrity chefs Decatur Mayor Bill Floyd, former Decatur Mayors Elizabeth Wilson and Walt Drake, will be cooking for the crowd. Sous chefs Jon Abercrombie, Bill Markert and Frank Coughlin round out the kitchen roster. 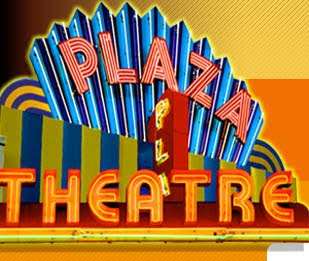 The entertainment lineup features Atlanta's favorite Cajun/Zydeco band, Hair of the Dog. Decatur Education FoundationProceeds from this event benefit the Decatur Education Foundation. Your sponsorship and silent auction donations are welcomed. For seven years, the Decatur Education Foundation has worked hard to give Decatur's students and teachers added support they would not have received from any other source. The Low Country Boil, now a primary fundraising event for the Decatur Education Foundation, started as a small, invitation-only party and has consistently grown in attendance over the past five years. Mark your calendar now for October 23, 2008 for an evening of great food, live music, and festivities – all for a great cause. You won't want to miss this! The party is over but you can sill be there on Sept 26th to wish them well. 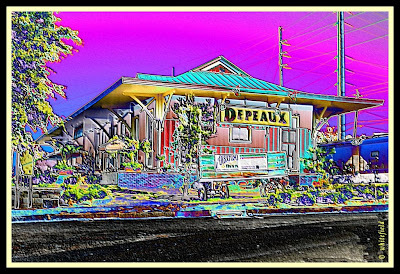 Restaurant built in The Old Train Depot. 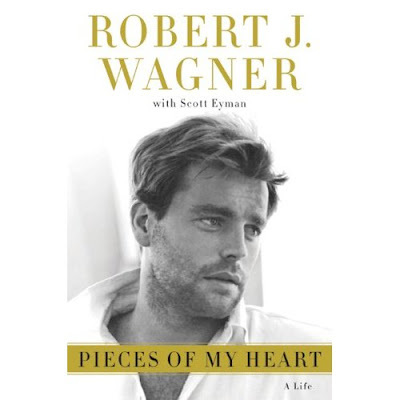 I'm probably the Biggest fan of Robert Wagner, so I will be buying this book. Have you tried out the ZIPCARS yet. ? 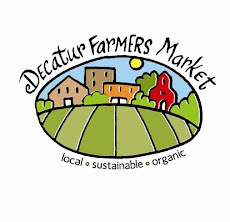 ATLANTA — Jim Hackler, a nature-loving high-rise dweller with a streak of hippie behind his Ray-Bans, had to get to the DeKalb Farmers Market in Decatur, Ga., one day this month. But he didn't attempt to bike the eight miles through traffic, to haul shrimp and wine on the bus and train, or to find a friend with an open schedule and a need for freshly ground peanut butter. Instead, he hopped into a car, a Toyota Prius parked a few blocks away from his condo, hit the market and a few other errands, then parked it and headed home. But Hackler doesn't own a car; he shares the ones he drives with a few hundred-thousand other drivers. The Prius he used belongs to Zipcar, an international car-sharing company whose members literally pay as they go. It's not exactly a replacement for a car, and it's not a rental car, users say. In the Atlanta area, it's one of several short-term shared cars parked near subway train stations, Atlantic Station's Ikea store, city office towers and universities. The greatest concentrations of cars in Atlanta are around Georgia Tech and Emory University. One lone car is located outside the Perimeter, a Honda Civic Hybrid parked in Sandy Springs. Hackler and other users don't pay for gas or insurance — just a membership fee and the hourly rate for the time he's in it. He never worries if there's a ding in the door or mud on the paint — someone else will fix it. 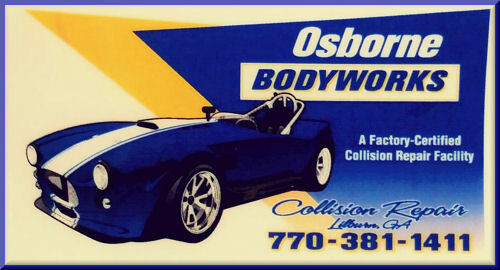 And he likes the logo the cars sport, that knowing nod he gets from other drivers, the questions people ask him in parking lots. "I really enjoy not owning a car," said Hackler, a 47-year-old journalist and son of a former General Motors executive. "This was a very elegant solution. You can only fit so many groceries on the back of a bike." Atlantans have been car sharing for two years this month. It started here with Flexcar, a Seattle-based car-sharing company that merged with Cambridge, Mass.-based Zipcar last year. These days, 70 cars — Honda Civics and Elements, Toyota Priuses and Matrixes, convertible Mini Coopers, pickups and a minivan —are parked at 50 locations in the city, and the car-sharing business is booming. Zipcar representatives wouldn't say how many Atlanta members it has, but the company reports its national membership is on pace to grow to more than 300,000 this year — an 80 percent increase over 2007. High gas prices, increased intown development and greater environmental awareness all contribute to its expansion. Still, Zipcar doesn't expect to make a profit until 2009. A few hundred thousand users is a small chunk of the two million people ages 21 and older that the University of California, Berkeley's Transportation Sustainability Research Center estimated are in the car-sharing market. And that was way back in 2005, before gas hit $4 per gallon. Of the 35 car-sharing services that opened in the United States since 1997, 15 have closed. The biggest reason: funding deficits and staffing needs, said Susan Shaheen, the research director at the Transportation Sustainability Research Center. And for all of car sharing's money-saving, community-building, green-living qualities, it's tough for people to give up quick access to their own cars. Can it possibly work in Atlanta, a place that's a punch line to every traffic joke? "The cars are going to be here because we want them to be," said Adele Clements, Emory University's director of transportation. "I think it's working for Emory." Clements says car sharing survives in Atlanta because of commuters. Emory plans to have 25 percent of its faculty and staff using bikes, vanpools and public transportation by 2015. Those commuters get access to reduced-rate car sharing for daytime doctor's appointments, off-site meetings or sick-kid-in-the-principal's-office emergencies. And once some drivers start sharing, they never go back to their car payment and gas-pump pain. A Zipcar survey showed that 28 percent of car owners got rid of a vehicle after they started car sharing, and 62 percent said they delayed or halted a car purchase. "What we have is early adoption — college kids, freshmen that are starting school without a car because they can't have one," said Liz Wattenberg, the general manager of Zipcar in Atlanta. "They're no longer looking at buying a car after graduation." As a computer science student at Georgia Tech, Scott Ehardt realized it cost more to park his van on campus than to share a car. 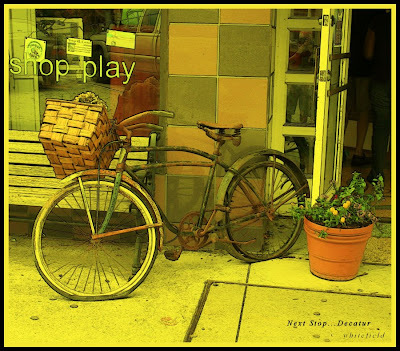 He got more creative with public transportation, biking and walking, used Zipcar's pickup to haul heavy loads and smaller cars for fun and groceries. The only downside: counting driving time in dollars. "I couldn't decide to stay somewhere longer," said Ehardt, now 23 and graduated. "You have this time limit hanging over you the whole time." He recently bought a Toyota Prius that he uses, along with public transportation, to commute from Midtown to Alpharetta. Still, he says, he would go car-free in the future if his work situation changed. 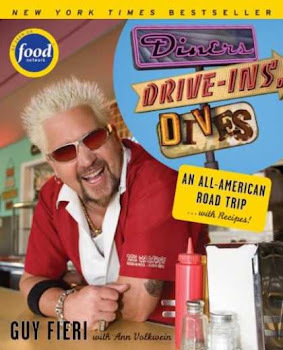 He skips the gym in favor of his bike, makes extra cash by renting his condo's parking space and actually enjoys driving when he does hit the road on those special occasions when he needs a car. "I want it to succeed," Hackler said. "If Zipcar wasn't available, I can pretty much guarantee I would own a car. 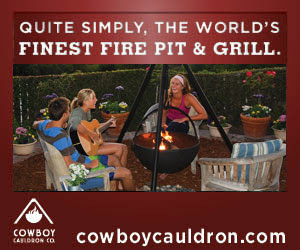 We pay a huge premium for that ridiculous convenience, and it would just be sitting there all the time." Various car-sharing companies and nonprofits have different systems for reservations and payments. 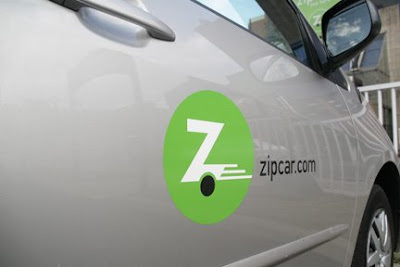 In Atlanta, drivers can access Zipcar, a nationwide car-sharing company with 70 vehicles parked in metro Atlanta. Here's how Zipcar works. Register. Online at www.zipcar.com. There's a $25 application fee and yearly or monthly fees, depending on your plan. Drivers must be at least 21, except students at Georgia Tech, Emory and Agnes Scott, who must be at least 18 and can only access campus-area cars. Members must have a valid license for at least one year, and driving history can affect eligibility. Reserve. Once you're approved and receive a Zipcard, you can reserve a car online or by phone. Cars can be reserved months or minutes ahead. Rates depend on your membership plan, but they range from about $7 to $13 per hour. Pick up. At your reservation time, locate your car (or call Zipcar if it's not there). Hold your card to the box on the windshield. It will unlock the door throughout your reservation; the key will be inside. Drive on. A gas card hangs in the visor. 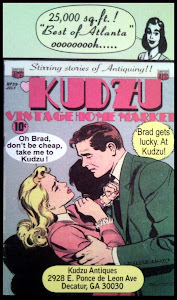 You'll need your Zipcard number and the vehicle mileage for it to work. Insurance information is in the glove box. If you get a ticket, let Zipcar know before the cops do, or there could be additional fines. Accident? 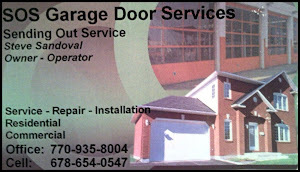 Call as soon as possible; there is a $500 damage fee. Return the car. To the space where you picked it up. 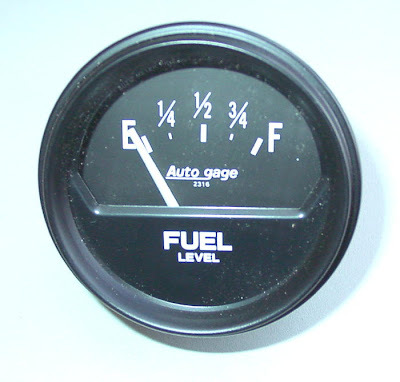 Make sure the gas tank is at least one-quarter full. If you're running late, call Zipcar to extend the reservation or let it know. There's a $50 penalty for returning a car late without calling, and expect to hear about it if you leave the car messy. Pay. Zipcar will bill your credit card for the hours you used it. Hourly rates vary based on the type of car, its location and the reservation time. 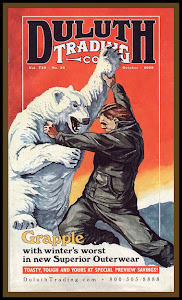 Jamie Gumbrecht writes for The Atlanta Journal-Constitution. 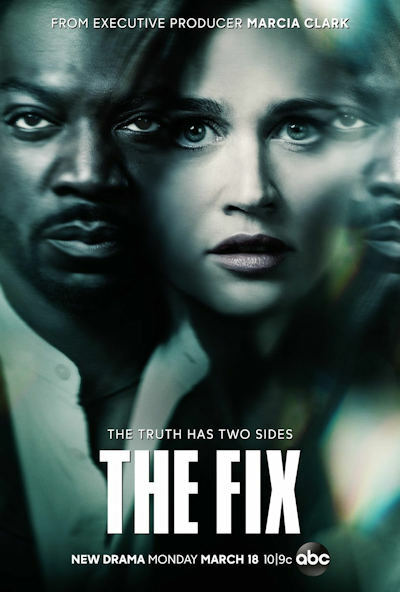 Shows debut virtually every week of the year now so it’s kind of quaint that the ever shrinking original “big three” even put on the pretense of an “opening week.” Fox and the CW have debuted virtually all their fall shows. But ABC, NBC and CBS roll out a majority of their shows this week. So be patient because this is a looong list below. • “Dancing With the Stars” 8 p.m. AB C (season debut) — The motley crew this fall includes Kim Kardashian, Cloris Leachman, Lance Bass and Warren Sapp. We’ll all be watching the 82-year-old Leachman and marvel her grace, hoping at the same time she doesn’t break anything. • “Heroes” 9 p.m. NBC (two-hour season debut) — After an 8 p.m. clip show, we find out who shot Nathan Petrelli while Sylar visits Claire to pick her brain. Literally. • “The Big Bang Theory” 8 p.m. CBS (season debut) — Penny and Leonard have their first date and the “knowledge” gap causes problems. • “How I Met Your Mother” 8;30 p.m. CBS (season debut) — The always adorable Sarah Chalke plays Stella, who may or may not say yes to Ted. In the meantime, the ever randy Barney can’t stop thinking about Robin. • “Two and a Half Men” 9 p.m. CBS (season debut) — Charlie meets a child that resembles him a wee bit too much for comfort. • “Worst Week” 9:30 p.m. CBS (new series) — Think “Meet the Parents,” minus the humor. • “CSI: Miami” 10 p.m. CBS (season debut) — When in doubt, shoot the main character. But who shot Horatio? • “House” 8 p.m. Fox — House hires a private investigator to spy on Wilson now that his former BFF left the roost. • “NCIS” 8 p.m. CBS (season debut) — A murder of a Navy officer reveals a link between the NCIS team and the investigation. • “The Mentalist” 9 p.m. CBS (new series) — Simon Baker is a more serious version of Shawn from “Psych.” In other words, a very observant detective minus the wisecracks. • “Without a Trace” 10 p.m. CBS (season debut) — Steven Weber of “Wings” fame plays the new head of the Missing Persons squad. • “Knight Rider” 8 p.m. NBC (new series) — The star of this show is KITT, the updated car, voiced by Val Kilmer. • “The New Adventures of Old Christine” 8 p.m. CBS (season debut) — Barb is up for deportation but thanks to California’s gay laws, her BFF Christine asks Barb to marry her to keep her around. How romantic! 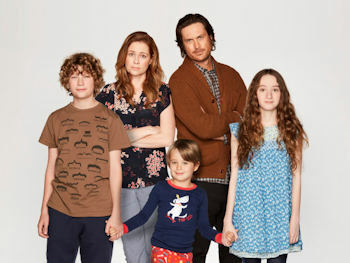 • “Gary Unmarried” 8:30 p.m. CBS (season debut) — Jay Mohr tries his hand at sitcoms by playing a newly divorced dad grappling with being single. Mohr and the supporting cast are reasonably funny in the pilot, at least. • “CSI: NY” 10 p.m. CBS (season debut) — Where is Mac? Maybe we’ll find out. 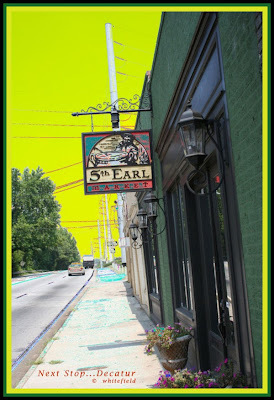 • “My Name is Earl” 8 p.m., 8:30 p.m. NBC (season debut) — Earl has returned to his list. 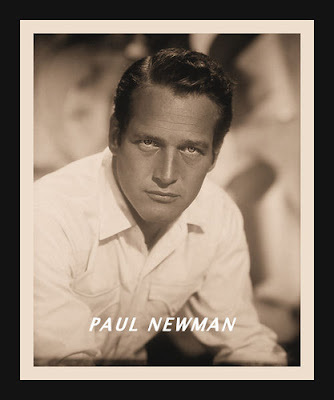 • “Survivor: Gabon” 8 p.m. CBS (season debut) — Doctor and former Atlantan Marcus Lehman makes his mark this season. • “Ugly Betty” 8 p.m. ABC (season debut) — Did Betty pick Gio or Henry — or will a third guy come along? • “Grey’s Anatomy” 9 p.m. ABC (season debut) — “Journeyman” star Kevin McKidd pops up as a military vet doctor who might end up hooking up with Cristina. • “The Office” 9 p.m. NBC (season debut) — Jim misses Pam, who is in art school all summer. Michael hits on new HR rep Amy. • “ER” 10 p.m. NBC (season debut) — This is the show’s final season. Abby wakes up in the aftermath of the ambulance explosion. 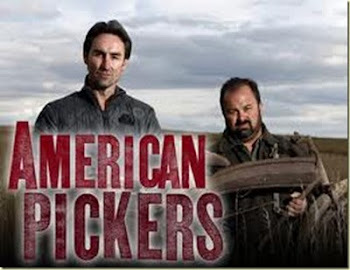 • “America’s Toughest Jobs” 8 p.m. NBC — The contestants try bull riding tonight. • “Gone Country” 8 p.m. CMT (season finale) — Sean Young & Co. perform their country songs tonight. None look like real viable country stars so who knows who John Rich will pick this time around. • “Presidential debate” 10 p.m. major broadcast and news channels — Jim Lehrer moderates the first debate on domestic policy at the University of Mississippi in Oxford. • “Stargate Atlantis” 10 p.m. Friday — Michael Shanks reprises his role as archaeologist Daniel. Who was on your lunch box.? The idea of a tin pail or box to hold a lunch is not new. In the late 1800s, products like tobacco were sold in tin containers with handles so they could be reused as lunch boxes. The boxes were decorated with ads for the product. In those days, many men took a lunch with them to their work in factories, fields or offices. The tradition of the lunch box continued in the 1900s. In 1949, it is said, the makers of Aladdin vacuum bottles thought it might boost lunch box sales if they put a picture of a popular TV star on the box and the bottle. 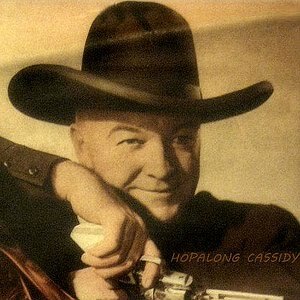 They added a decal of Hopalong Cassidy, and it sold so well that others followed. Roy Rogers, another TV cowboy, had a lithographed steel lunch box by 1953. More than 2 1/2 million were sold. The steel boxes remained popular in the 1950s and ’60s. Hundreds of boxes picturing TV, movie and comic characters, and even popular toys, were made. In the 1970s, the Florida legislature passed a law outlawing metal boxes because they were dangerous–some were used to bash school classmates. After that, lunch boxes were made of hard plastic or vinyl. They are still decorated with popular images, but they have lost some of their glamour. Metal boxes in excellent condition sell for hundreds of dollars each. I thought I would try the concession stand at half time, the lines were long and when I did give my order they were out of all the good stuff. I guess they did not plan on the big crowd. Next time I'm sure they will have plenty of food. 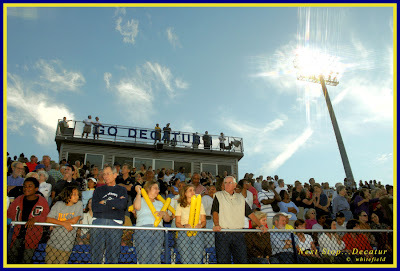 The Decatur High School Stadium's Grand Opening. It was a great Grand Opening for Decatur's new Stadium. The weather was perfect. Special note: I finally got to meet David at the inDECATUR we both had a great spot for taking photos, A place I like to call "The Fifty Yard Line"
Be sure to check out his photo's and videos he took. Decatur High School 's Thursday Night Under the Lights Dress Rehearsal... well, sort of. Some 10 months after Decatur turned out the lights at the old historic high school stadium on N. McDonough Street, the new brick and steel stadium that replaced it will host its first home football game Friday night. City officials are expecting a big crowd. Free parking is available in the school’s upper parking lot (along Howard), the Callaway lot (at Trinity and Commerce) and the Courthouse parking structure (also at Trinity and Commerce). A free shuttle will run from the Callaway lot to the stadium entrance both before and after the game. Students will also be on hand to help direct foot traffic. Tonight is a Big Night For Decatur...The Grand Opening of the new Decatur High School Stadium. Tonight The Decatur Bulldogs vs Hillgrove Hawks in the Brand New Decatur High School Stadium. Bottom photo is a vintage photo for the 1968 indecatur year book. 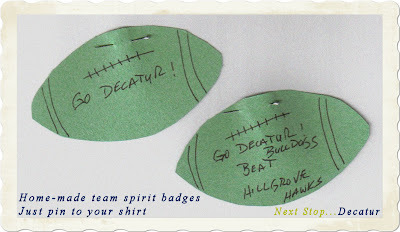 "GOOD LUCK DECATUR IN YOUR NEW STADIUM TONIGHT"
Remember these types of Team Spirit Paper Footballs. 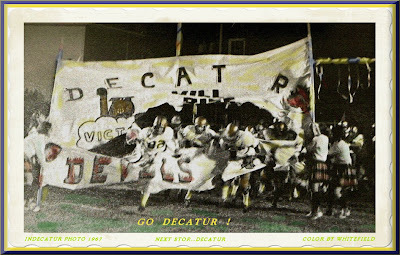 GO DECATUR ! You just pinned them to your shirt. All the Cool Kids had them at Decatur High. for those of you who don't know what that stands for it's BIG MAN ON CAMPUS. 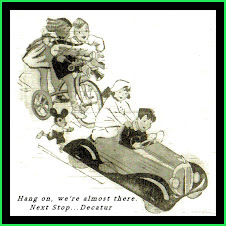 Labels: " NEXT STOP DECATUR", "decatur bulldogs"
The Decatur Theatre in the ArtWorld. 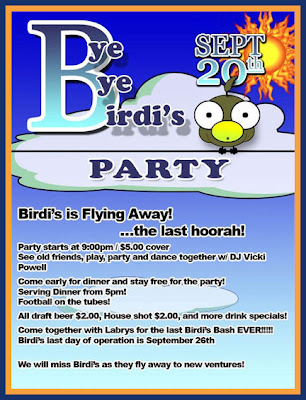 BiRDi'S to Close in late September. The Decatur Venetian Blind Co. 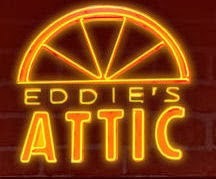 The First Waffle House was in Decatur.